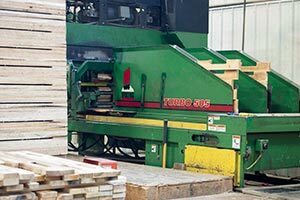 Badger Custom Pallet employs two state-of-the-art Viking Turbo 505 tandem pallet nailing machines capable of producing up 24,000 custom units per week. The versatility of these machines allows us provide a consistently high quality product for our customers. 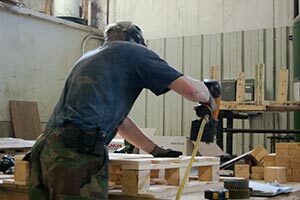 These machines come with the ability to stencil or brand pallets with customers’ names, part numbers, or logos. Champion and Pallet Chief automated nailing machines are available for backup production and low volume or remanufactured pallets. 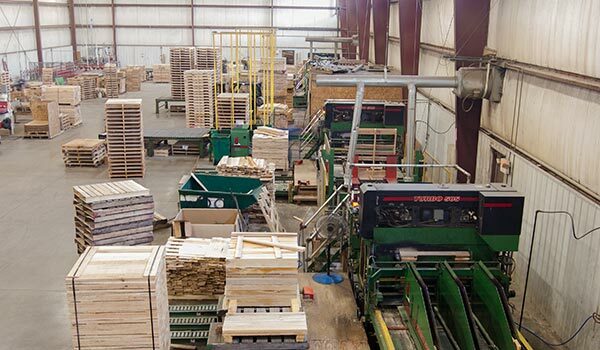 Hand-nailed pallets are available for customers’ specifications that require precision manufacturing of custom shipping platforms that otherwise couldn’t be produced on our automated machines. There isn’t a pallet we can’t make for you!